Cardinal Orthodontics is a very popular choice in St. Louis for both traditional braces and Invisalign, with offices conveniently located in Webster Groves and Ballwin. We know having a beautiful, healthy smile can positively impact the way you see yourself and the way others see you. Our team of friendly professionals know that loving your smile will positively influence your success at school, at work, and in forming lasting relationships. We’ll help you achieve your goals and create a confident and beautiful smile! We offer technologically advanced treatment options. You can choose from metal or silver braces, ceramic or clear braces, or Invisalign. All treatment choices are affordable, fast, and effective for both adults and teens. We offer ASL services for the hearing impaired. If you need assistance for an upcoming appointment, let us know! Our goal is to build lasting relationships with our patients based on mutual trust, understanding, and respect. We believe staying on time in treatments and throughout the day. Your time is valuable, so we’ll find an appointment that fits your busy schedule. We treat our patients to their individual goals, that are affordable and efficient while eliminating excessive orthodontic treatment. 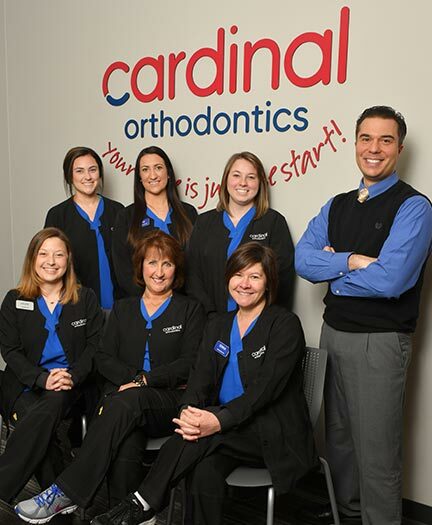 Cardinal Orthodontics is a leader in the community. We help many local residents achieve beautiful, healthy smiles, and are grateful to give back to the local communities we serve throughout the Webster Grove and Ballwin areas. We have a special place in our hearts for young people and their educational opportunities. In fact, many of our community efforts are to assist students, teachers, and school administrators. We are always looking for new ways to give back to our surrounding communities. If you would like to submit a request for sponsorship, please click here to download the form. If you would like to arrange for a member of our team to visit your school or classroom, or if you are interested in scheduling a health or dental tour for your child’s group or organization, please contact Carrie Vaughn. 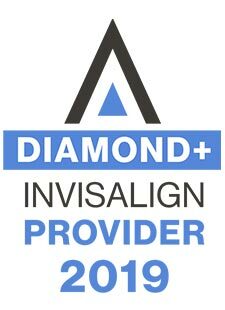 We invite you and your family to take advantage of our free exam offer and see how we have earned our excellent reputation for quality orthodontic treatment. Let us show you how you can benefit from smaller, more comfortable metal braces, clear braces, or Invisalign braces.